Meet the all new 2018 Toyota Camry. This ultra popular midsize sedan has a fresh new look and is loaded with advanced entertainment and safety technology. New body styling with a sporty twist will set this Camry apart from its predecessors. It is lower, wider and a bit more aggressive. 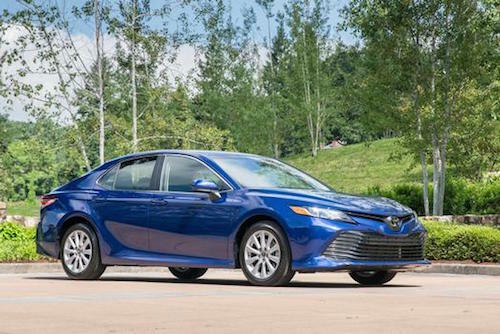 New 2018 Toyota Camry trim levels include; LE, XLE, SE and XSE. Upper trims include specialty features such as an integrated lower diffuser and 19-inch black finished alloy wheels (XSE model). This new model will be offered with a choice of three newly improved powertrains. These include a 2.5-liter four-cylinder Dynamic Force Engine mated to an 8-speed automatic transmission, a new 3.5-liter V6 with D-4S Fuel Injection and a next-generation Toyota Hybrid System. 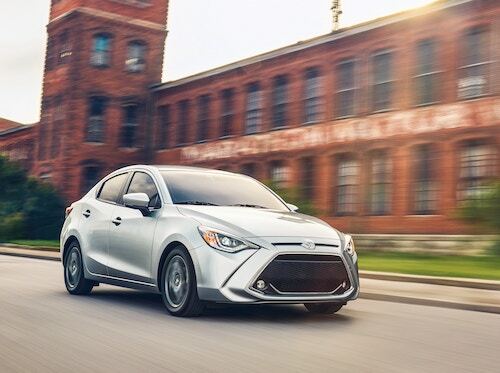 Upgraded safety and technology features include Toyota’s next-generation display system with a 10-inch color display screen, 7-inch multi-information display and an 8-inch audio/navigation display. All are designed to provide the driver with more information while maintaining a clear line of sight to the road ahead. Active safety features on the new 2018 Camry include a pre-collision system with pedestrian detection and a new dynamic radar cruise control. Our Toyota Dealership near Palm Springs, CA is happy to answer any questions you might have about this exciting new model. Please contact us for more details.